The weather is forecasted to be more or less the same as yesterday. 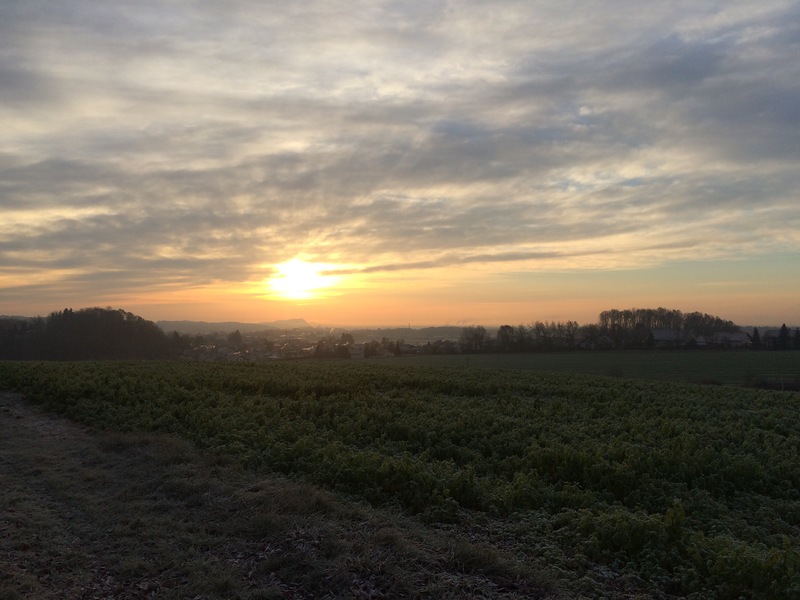 The mornings are super cold at -4C and it gets warmer at around 0C later part of the day. 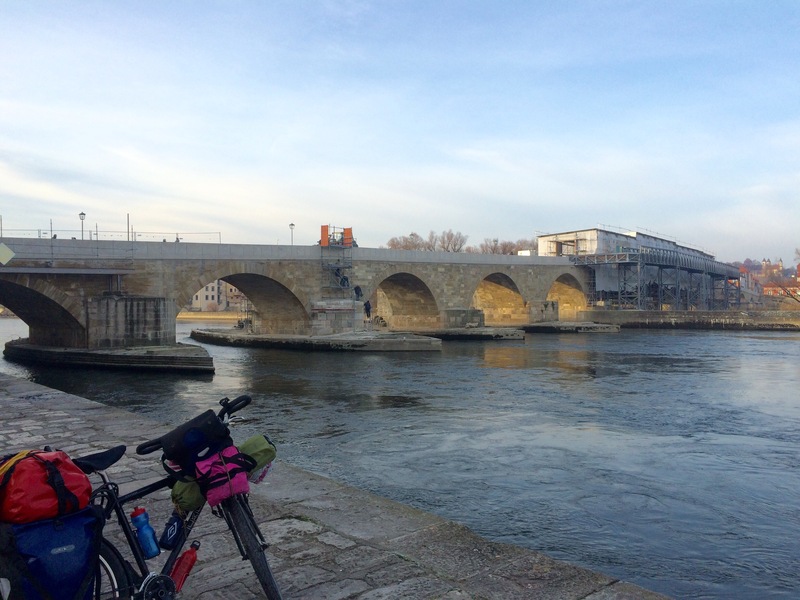 I will have a late start today as its only 45 KM or so to Regensburg. My host there will not be home before 630pm so no point rushing. 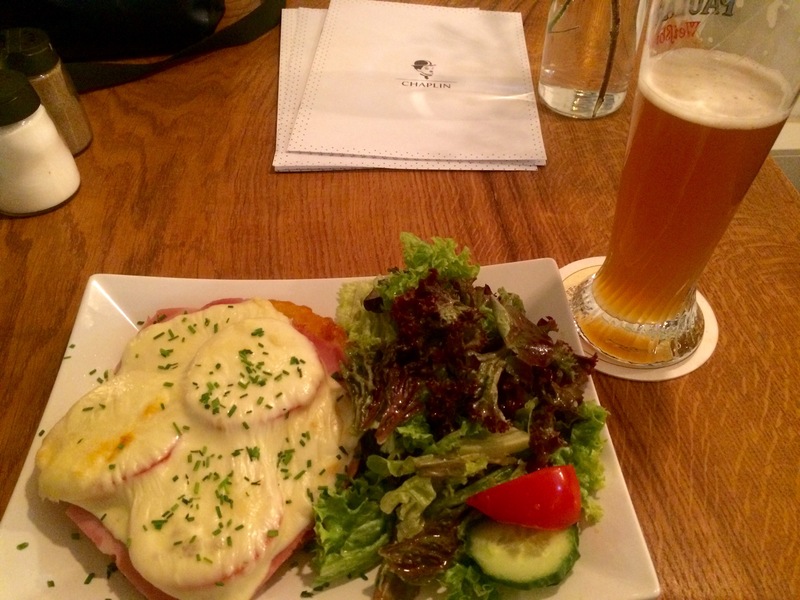 Had a leisure breakfast with Peter and Claudia before packing and getting to leave. I think it was around 1030am when I pushed off from Peter’s house. 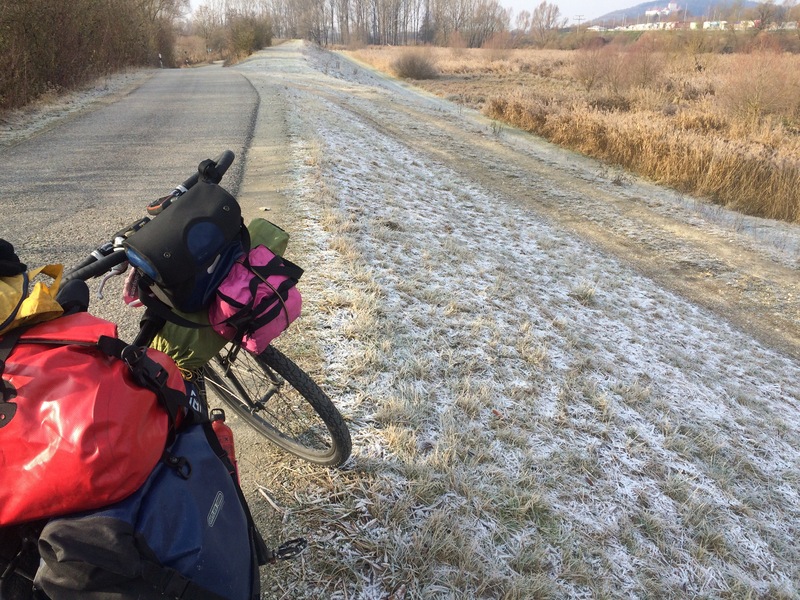 Finding the Danube bike path was a bit of challenge from Peter’s place. I was using Google maps and selecting bike route to navigate offline. It was fine at the beginning but then if navigated me to off road and rough sections which kind of slows you down. 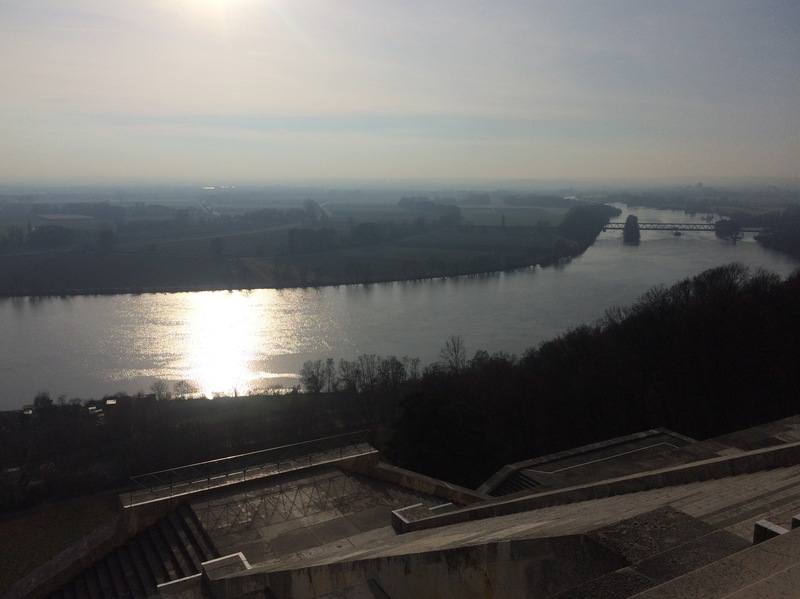 So I went off the route and found alternative route to the Danube path. 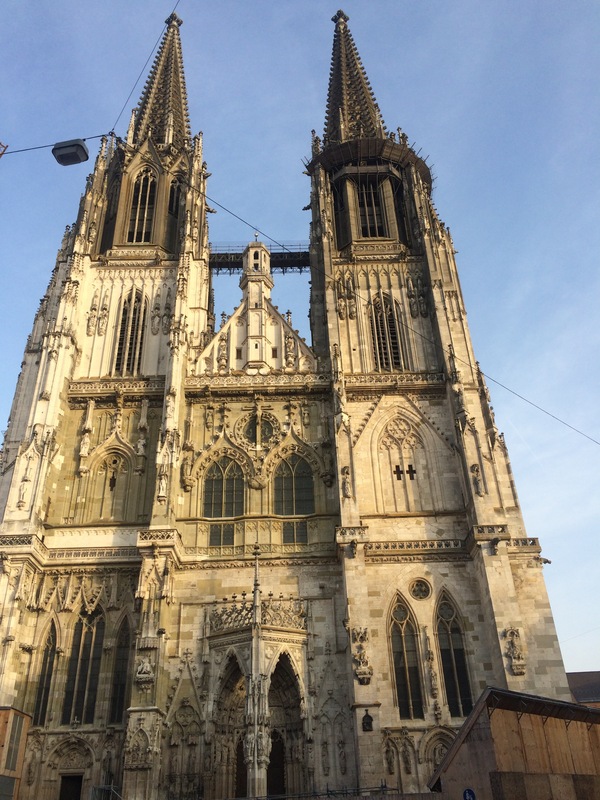 Eventually I found it and and making great progress towards Regensburg. 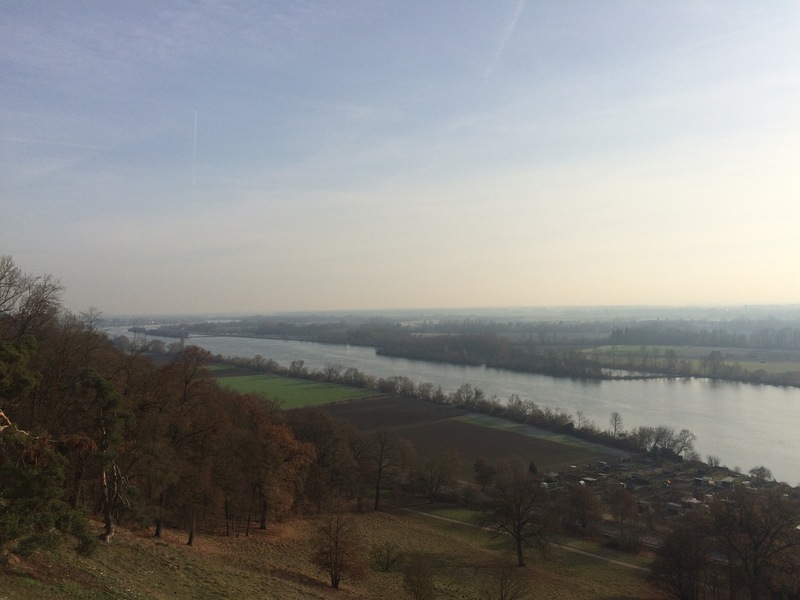 Several folks advice me to stop just outside Regensburg and visit a place call Wahalla. 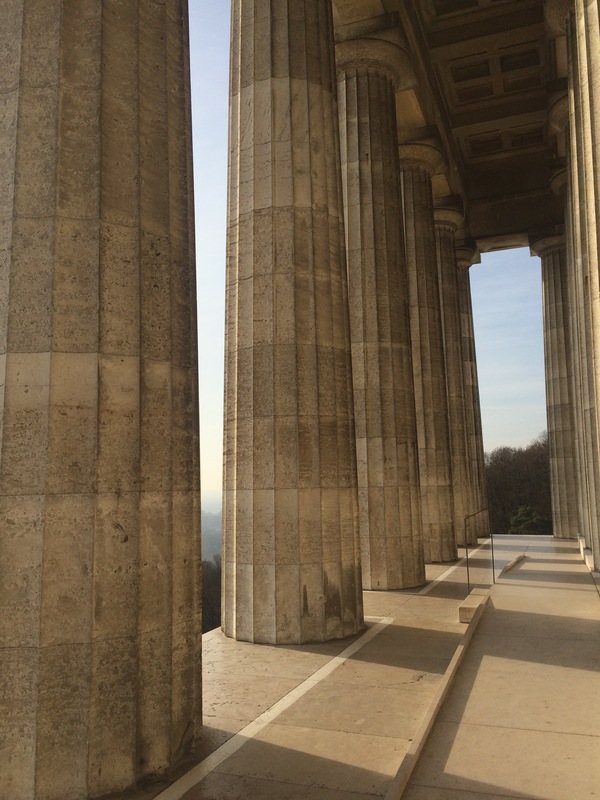 It’s an incredible Roman like building build by King Ludwig. 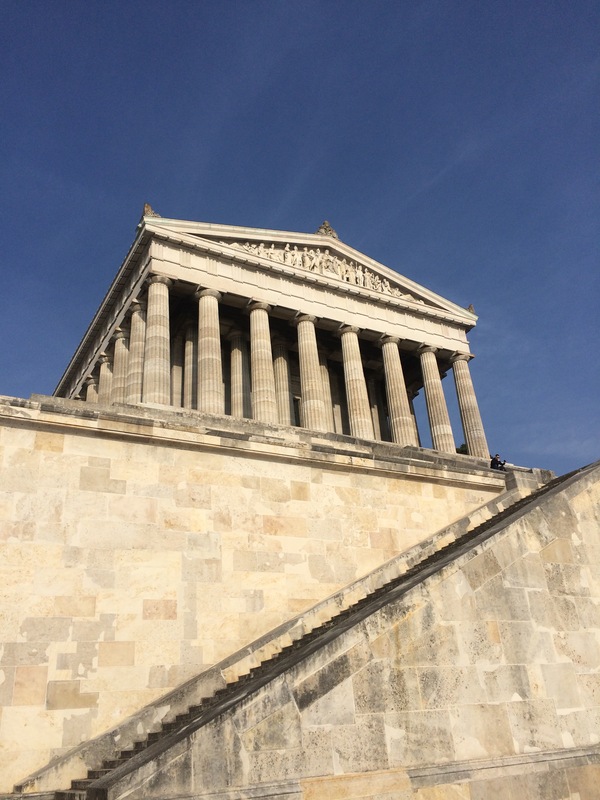 The Walhalla is a hall of fame that honors laudable and distinguished people in German history – “politicians, sovereigns, scientists and artists of the German tongue”; thus the celebrities honored are drawn from a wider area than today’s Germany. 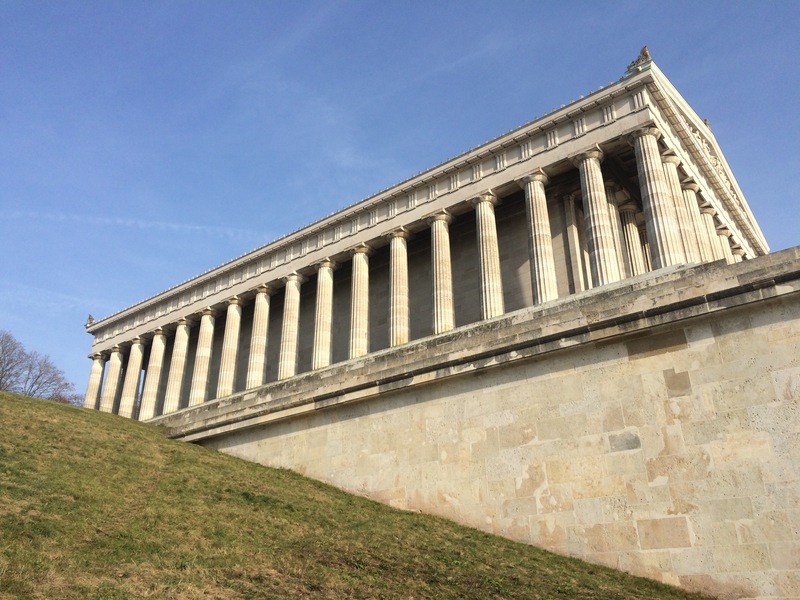 The hall is a neo-classical building above the Danube River, east of Regensburg in Bavaria.The Walhalla is named for the Valhalla of Norse mythology. It was conceived in 1807 by Crown Prince Ludwig in order to support the then-gathering momentum for the unification of the many German states. Following his accession to the throne of Bavaria, construction took place between 1830 and 1842 under the supervision of the architect Leo von Klenze. 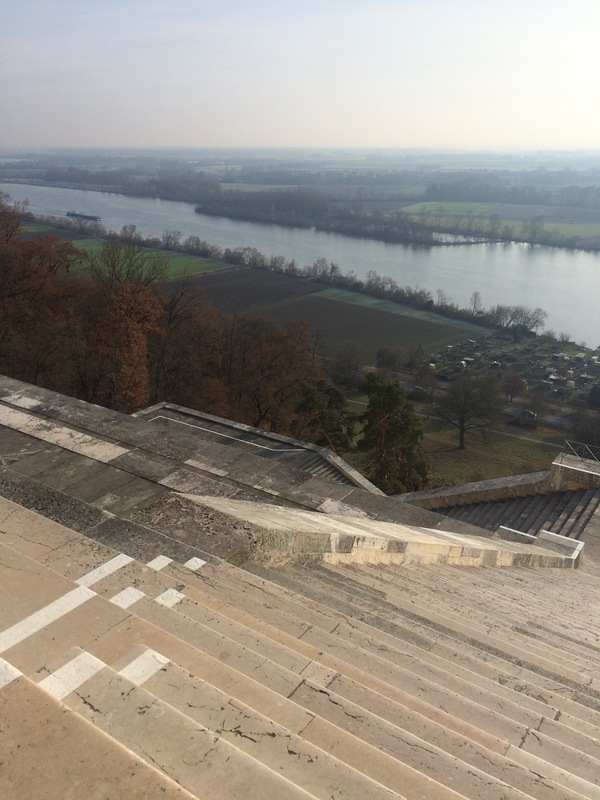 I walked up all the way to have a fantastic view of the Danube and to have a closer look at the building. It was worth the walk and the building was magnificent. After that I had a bite to eat before pushing on to Regensburg. Since I had some time to kill , I went to Ronda Ronda around the old town of Regensburg and ended up warming up with free tea and free internet at the Tourist Information counter. Actually I should do this the next time when I need some place to chill out. After that I decided to go to a cafe to have a drink and wait for my host to comeback. 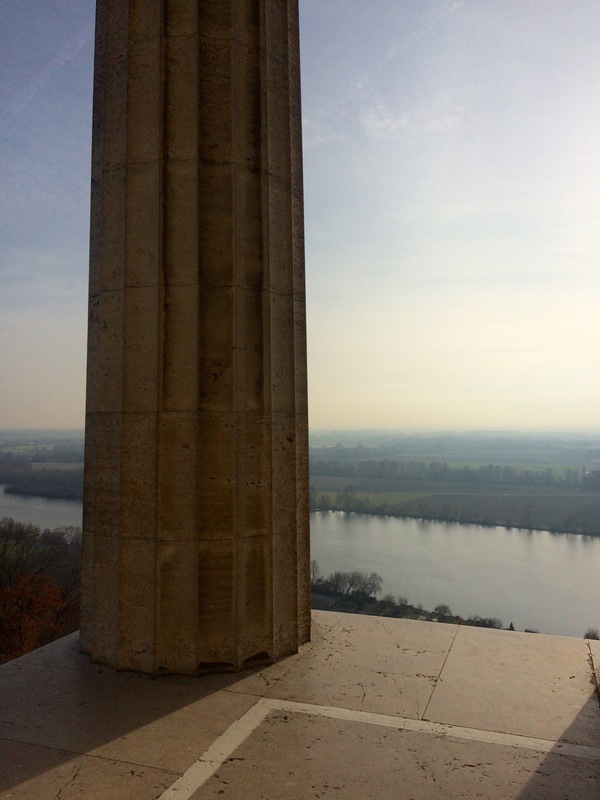 Finding Alexander’s apartment was very easy as it is near the Danube and city center. 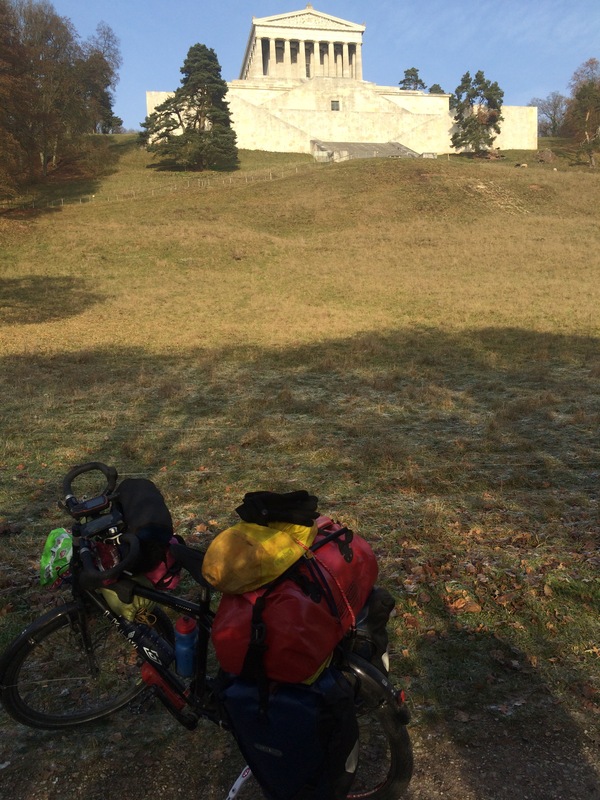 Alexander is a cycling tourer as well and have done the Balkans and also the Danube trail. He works in a company that builds wind farms. We had a simple dinner and chatted for awhile before we turn in. Tomorrow I ride to Inglostadt and its going to be another long ride. Weather is suppose to be milder but cloudy. Let’s see.